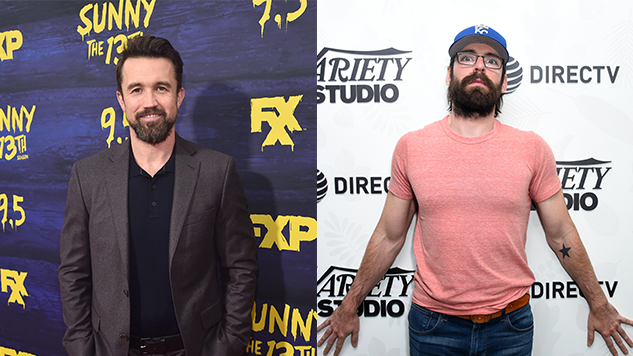 You may have missed it on Sunday night, but It’s Always Sunny’s Rob McElhenney and Silicon Valley’s Martin Starr got straight-up shish kebabbed in their faces on the Game of Thrones season eight premiere. The two actors made their cameos as a pair of Euron Greyjoy’s crew members, who were murdered during Theon’s daring rescue of his sister, Yara. One thing’s for sure—Mac would have never let himself be murdered like that. He’d whip out some of those signature combat skills and take down Theon. Gilfoyle on the other hand … he’s not exactly going to be able to defend himself with his biting wit. Not without a little help from the Dark Lord, at least. Watch McElhenney and Starr’s gory, split-second appearances below and catch our review of the season eight premiere here.